In case you haven’t heard the good news, Appleton’s Planned Parenthood clinic is stopping all of its abortions for the next six months! Now, the sad news is that this is temporary. But this halt in the dismembering of the unborn reveals to us something important – there is a shortage of people who want to kill babies. This is not the first time such a “problem” for the abortion industry has come up. Last year, the abortionist for Milwaukee’s largest abortion facility lamented that he couldn’t retire because there was no one to take his place after a career of performing between 85,000 to 95,000 abortions. This whole situation is really quite telling: when the rubber meets the road, when it comes to the point when someone must truly act on their “pro-choice” views, very few can actually go through with the killing of an unborn child. This truly must be a challenge for the pro-abortion movement. Can they really act on their beliefs when the time for action comes? In reaction to this, I’m issuing a challenge to us, the pro-lifers. Can we really act on our beliefs when the time for action comes? While the other side is floundering, trying to scrape together more people to take away the lives of the unborn, can we step up in their wake? Can we help the women in our communities, especially in the Appleton community, to get the resources that they need so they can bravely choose life? Can we support the life-affirming pregnancy resource centers that help scared mothers during an unexpected pregnancy? Can we continue to spread our message of life, so that abortion becomes unthinkable? 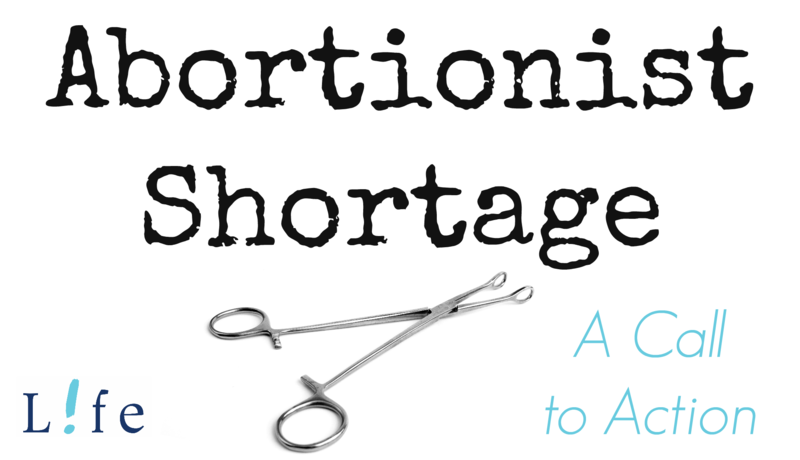 I believe we have a special opportunity with these abortionist shortages. We can show Wisconsin that we don’t need abortion. Here’s how: find your local life-affirming pregnancy resource center at 123GiveLife.com. Ask how you can help, whether it’s organizing a diaper drive, volunteering your time, or donating what you can, even if it’s just $5. By helping these pregnancy centers, we have a real opportunity to show that we can do better than abortion. Will you take up the challenge?